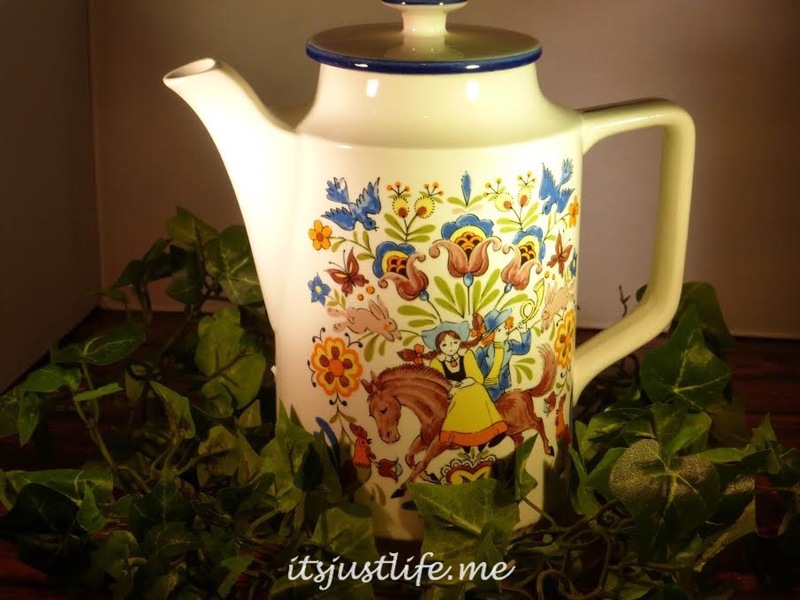 Fun teapots come my way all of the time but then again it makes sense since I seem to search them out. I receive a lot of teapots as gifts when people find one that they think I would like. I love that so many of my teapots have come from friends who think of me when they see that “perfect” one. 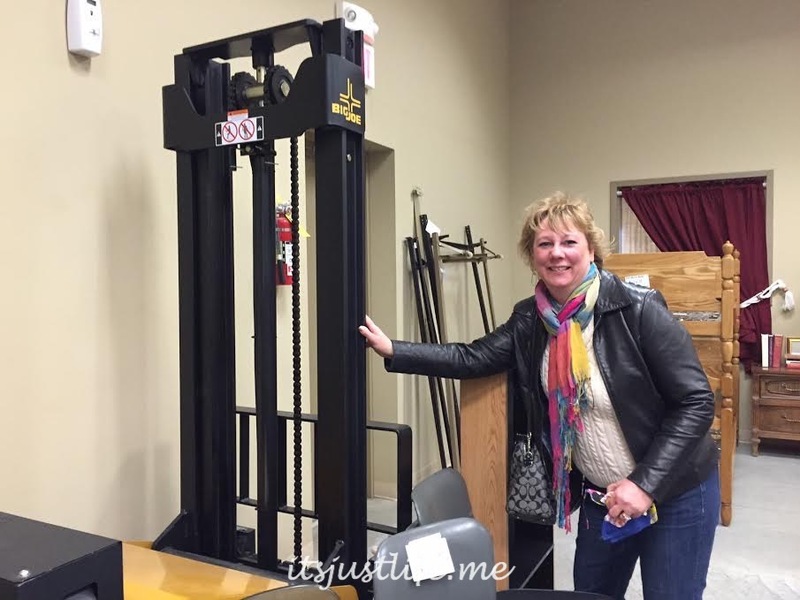 Recently a few of the North Iowa Bloggers and I hit up the local thrift shop for some bargains and great finds. Donna of donnahup.com needed some props for an upcoming church event so thrift store shopping was on the agenda after our monthly Social Media Breakfast. We stopped at the recently opened Salvation Army thrift shop located at 757 Village Green Dr SW. It is clean and well organized and we all had a lot of fun looking around. We might have giggled a bit too much because we were told twice during our brief time in the store that we “were having too much fun”. I don’t think you can ever have TOO much fun, do you? We found a lot of great items. 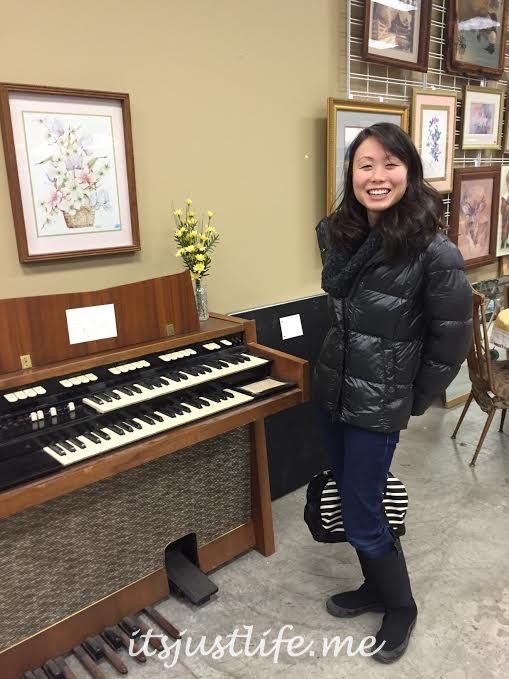 Jeni Eats found an organ. But then I found a cute teapot nestled amongst the glassware with the ticket price of $2.00. Now that is a bargain for anything these days let alone a teapot with character like this one has. I think you will agree that this one is a winner from start to finish. It is in perfect condition with no chips or cracks and has such stunning graphics on it that it caught my eye. Don’t you just love that pigtailed little girl? The perfect teapot for a chilly afternoon pot of tea, don’t you think? I love the whimsical quality to this one and know it is going to be a favorite among my readers as well. Oh, it’s precious! 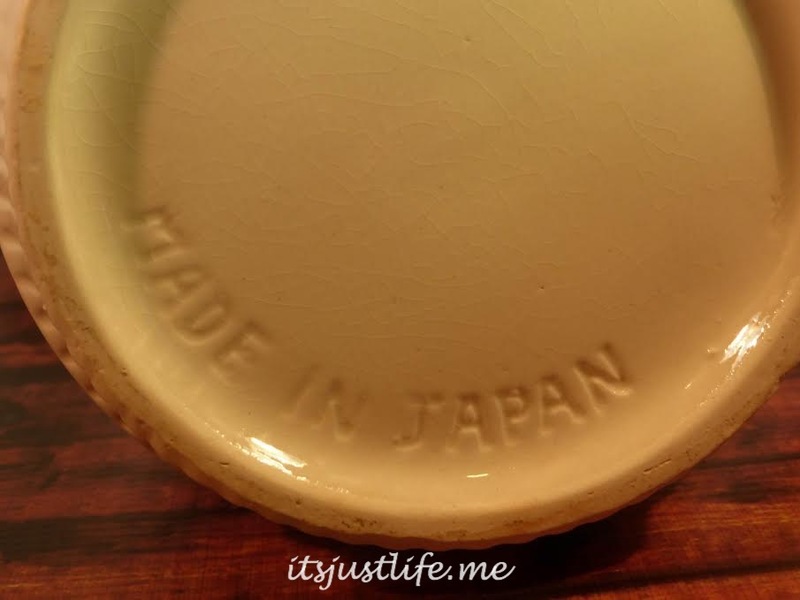 Thrift shops are so much fun – even if you don’t find a treasure, it’s still fun to look. My friends and I have been told before that we’re having too much fun, too. Nope – can’t happen! I love finding special things in Thrift shops. This teapot looks like it stepped right out of a fairy tale. You could serve tea to young people (of all ages) and they would be so impressed. 🙂 The quote is very special. Thrift stores are my favorite places to shop. Looks like you have a good one in the Salvation Army. Ours isn’t nearly as clean and bright. I do like that teapot and it’s perfect for thinking of spring. You guys were having too much fun? Really. Love the forklift!!!!!! And, oh yes….the teapot!!!! LOL! That is a cute little tea pot. Love that it’s in such great shape. I often browse around our local Goodwill and have found some amazing things here and there. Thrift store shopping is so much fun. Great find. Finding it was probably 90% of the fun. Looks like a fun time was had by all – I do believe you should have made an offer on the fork lift!! Cute cute teapot and yes its perfect to dream about spring with. I like thrift stores; we have a large Goodwill and never know what you’ll find there. 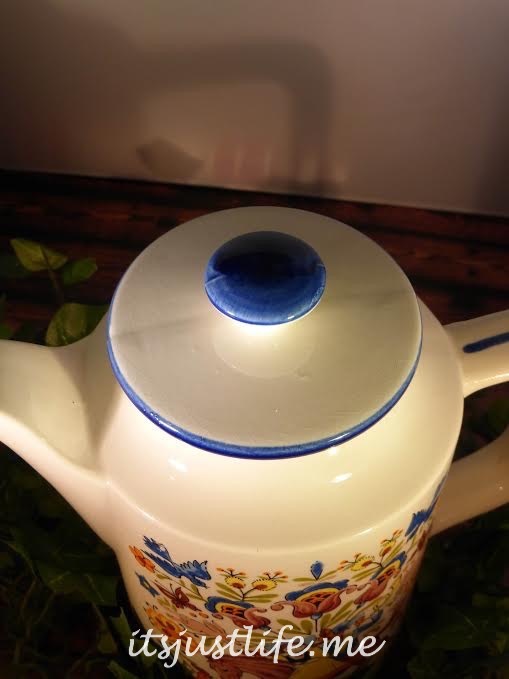 That’s a great teapot and I love going to thrift stores! oh my gosh — this could be 7 year old pig tail me, riding her horse through the wildflower fields on her grandparents farm!! very cute – adore this one. I love it’s shape! So unlike anything else!! It is a cute one, isn’t it?? I know I keep adding, don’t I? What ever happened to downsizing??? Nope. You can never have too much FUN. 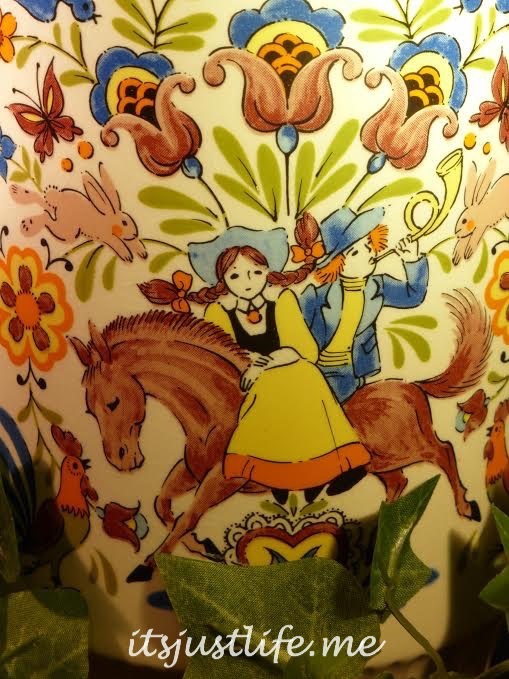 And I love tulips so that teapot is a winner in my cup. Thrift stories are the best. Well, not really, Nordstroms is the best, but Thrift stores rock! I agree. You never know what you will find at one. And you can’t ever have too much fun!!! I agree—-I did not think we were being loud or anything but maybe compared to the rest of the clientele we were. I do enjoy checking out thrift shops. You never know what treasures you might find there! This one is definitely a keeper. I think so as well. I had never seen anything like this one before and a bargain price at the same time. I love to peruse thrift shops and ponder the stories of the items. Cute teapot! There are a million stories there, aren’t there???? Why am I not surprised you guys own a forklift? I actually have always wanted a Bobcat…….got one of those? Of course we have a Bobcat 🙂 Let me know if you’d like to take it for a spin too. I might need some training!!! 🙂 But YES! My lifelong dream may come true on the Plagge farm! I am afraid to think what I could do with a forklift!